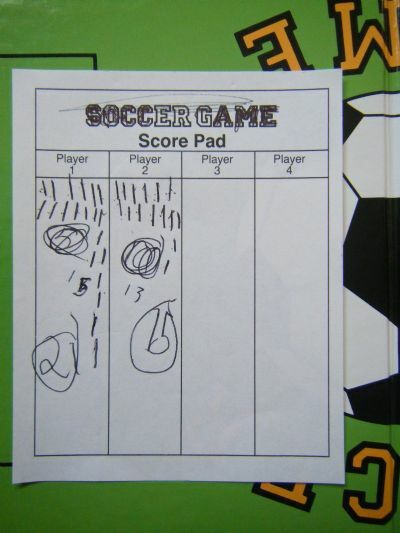 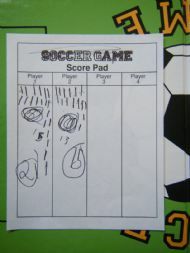 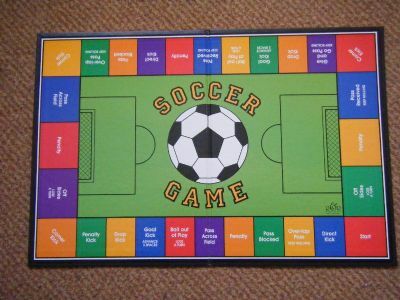 A simple game - move around the board collecting points. 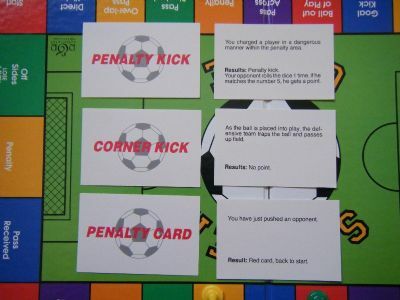 Bright and colourful but not particularly well thought out. 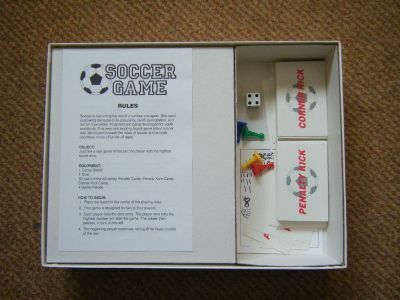 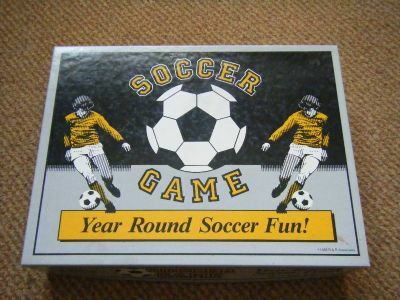 Bt the way it took a team of four people six months to develop the name 'Soccer Game'. 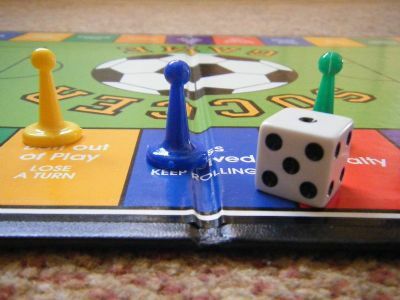 The pawns are generic game pieces.